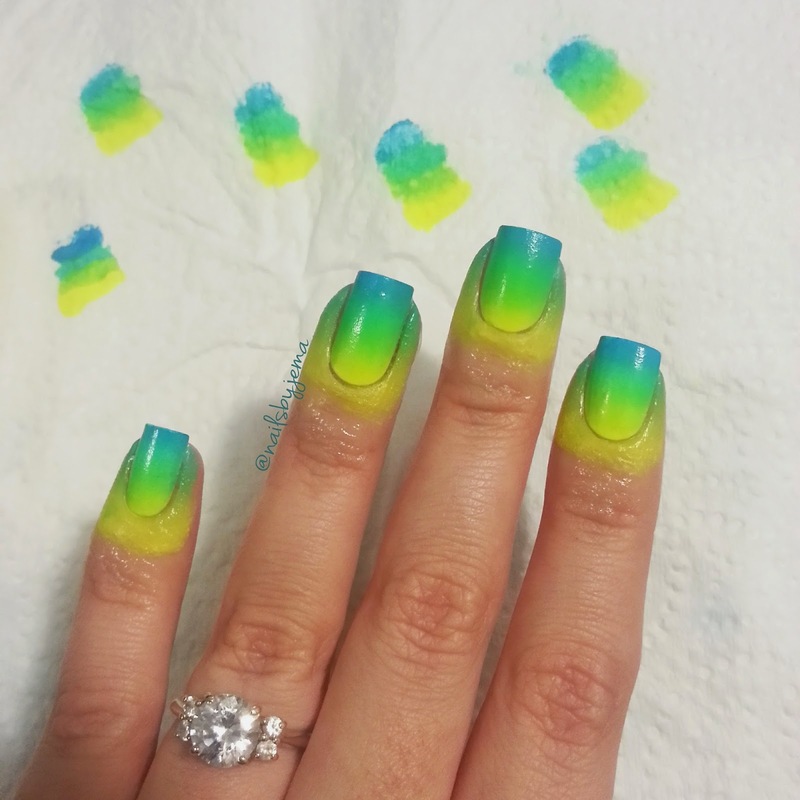 I got fantastic polishes recently from LA Girl and needed to make a neon gradient with some of them stat! I saw a great 'glue trick' that some of the girls in the nail community are using on instagram and had to try it. And it worked perfectly. You just paint PVA/wood glue/Elmers glue around your cuticles and onto your skin to act as a buffer to protect the skin from the polish. It makes clean up a breeze and plus it's fun to pel off! I started with a base of white. 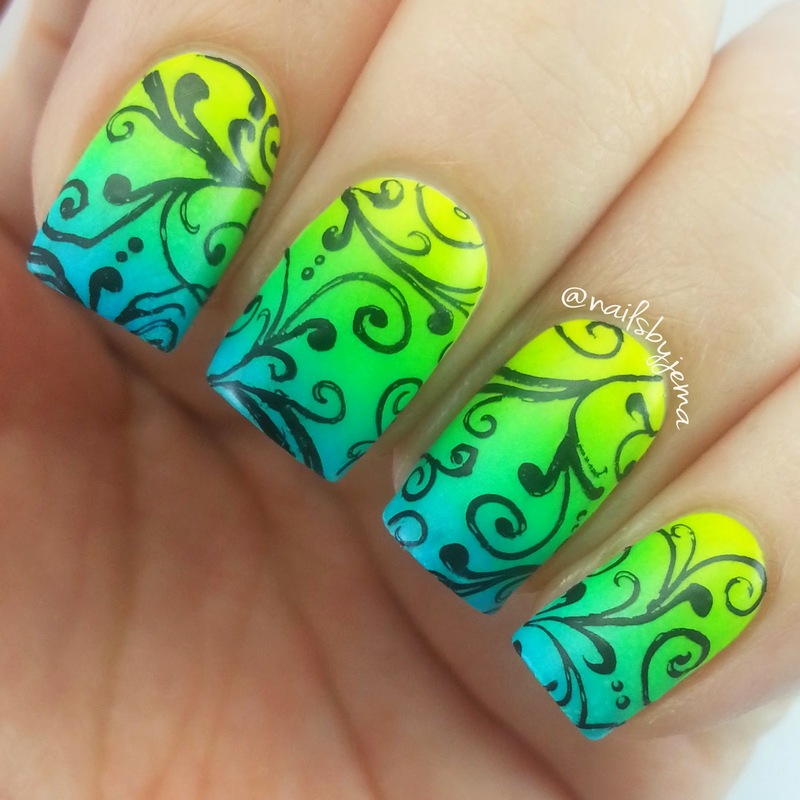 I used China Glaze 'White On White' to make the neon brighter. Mid process. Imagine the clean up I would have to do if I hadn't pre-glued!! The finished product. So pretty! I used all L.A. Girl polishes: 'Glow', 'Leap', 'Peacock' & 'Plunge'. They work so perfectly together. I used the typical makeup sponge technique. Super easy and so eye striking! Then I added a stamp. Because... well, why not!! I stamped BM-314 (one of very few of the Bundle Monster plates that actually work for me.. do anyone else have the problem of polish just wiping out the stamp when you scrape??? SO frustrating..) and used Konad Black to stamp with since they're so pigmented! I played around with this stamp and added some extra swirls in empty spaces. So that's it. 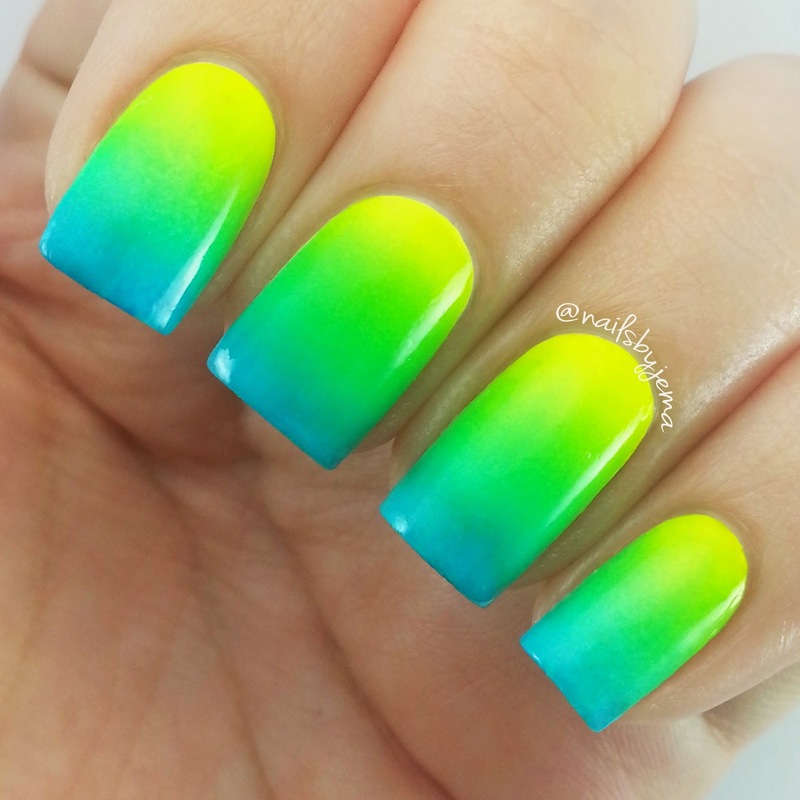 A neon gradient so awesome it makes your face melt.